Dennis Pagano holds a Ph.D. in social software engineering. During his research he studied human factors in software engineering with a focus on user involvement, context awareness, and recommender systems in particular for mobile platforms, applying especially empirical software engineering research methods. He published over a dozen scientific publications in renowned international peer-reviewed conferences, journals, and books in these areas. He participated actively in the European research projects FastFix and TeamWeaver at TUM. Dennis co-chaired ME'13 @ SE 2013, was PC member of several SSE workshops, and served as reviewer in numerous occasions, including the IEEE Software magazine, the International Requirements Engineering Conference (RE), and the International Journal of Empirical Software Engineering. FastFix EU Project. Conceptual Framework Leader, Chief Software Architect, Developer. 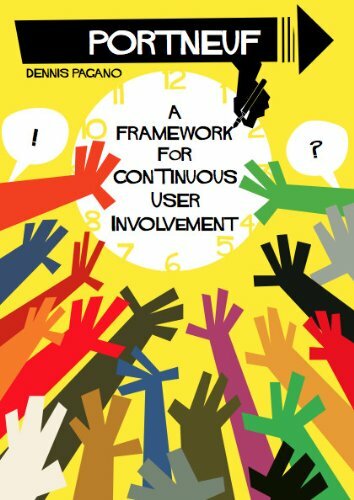 User Involvement in Software Engineering Research Group. Founder. DANCE Research Project. Co-Founder, Architect, and Developer. Simballo Research Project. Co-Founder, Architect, and Developer. You can find talks I gave in my slide share account. This section contains downloads, e.g. add-ons to publications and additional data.